Professional grade premium espresso machine that merges creative design with endless customization possibilities. 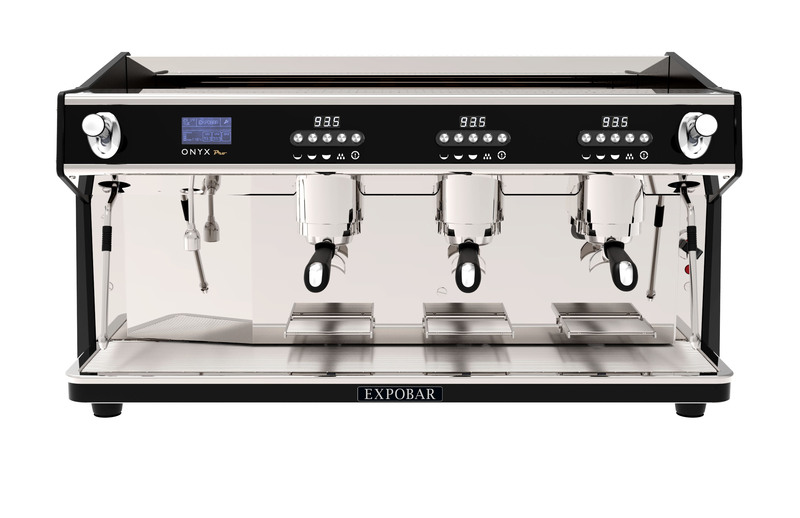 The Onyx Pro 3 GR Multi Boiler is equipped with a 17,5Ltr steam boiler and 3 independent 1.5Ltr group head coffee boilers. 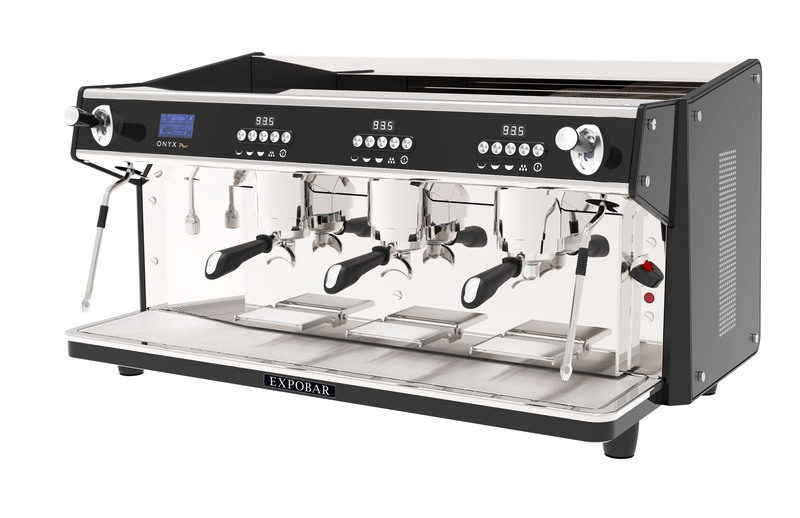 It also features a main touch screen UI display and independent LCD group heads to efficiently control the extraction parameters. 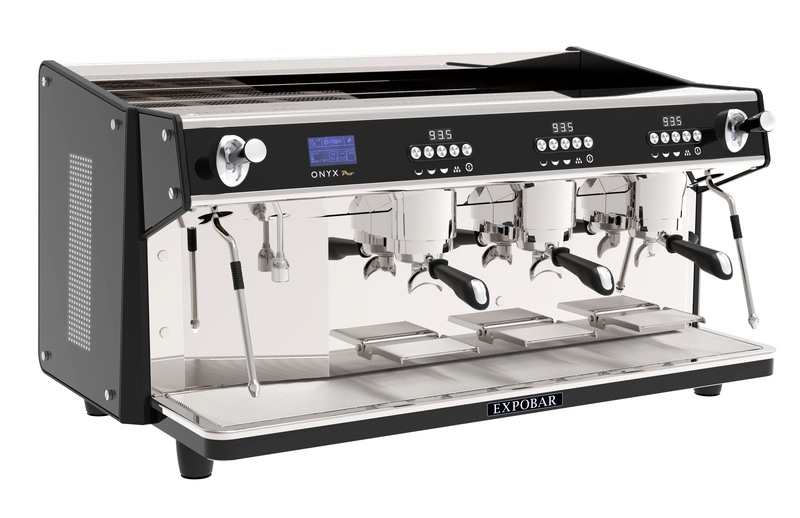 More features: natural soft pre infusion group heads, back-flushing cleaning mode and flushing button function, soft touch porta filters, anti milk suction steam valve, cool touch steam wands, pulse/ON steam lever, barista lights, LED lighting on side and back customizable panels. Pro versions are set with tall espresso groups with fold-away cup trays for smaller cups (Take Away). All Pro models are available with auto-steamer as an option.